Eurotrip 2013: Dinner at Augustiner am Gendarmenmarkt beer hall in Berlin, Germany on April 13, 2013. There are some meals that nearly kill you. This was one of those. 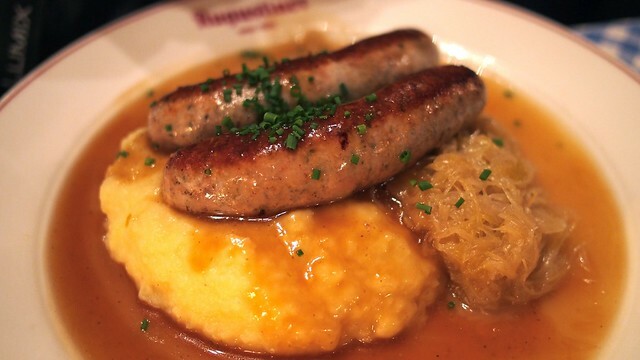 In search for some authentic German dining, we went to one of Augustiner's many locations for a meal of pork, sausage, and potatoes at this German beer hall. 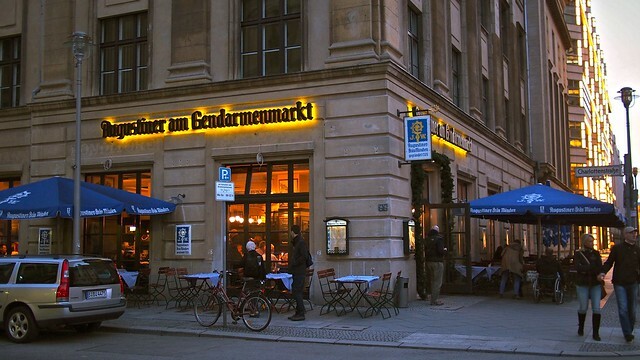 The place was massive with Germans and tourists enjoying litre beers and copious amounts of meat. We split a bunch of dishes. 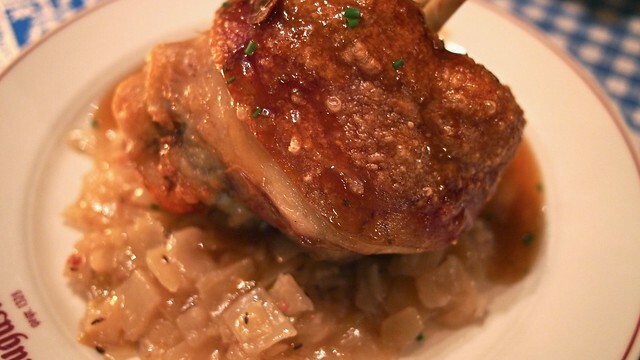 The famous Crispy pork knuckle with Bavarian cabbage was ridiculous and full of moist, tender filling. Our Berlin style potato soup with marjoram and Weiner sausages was also quite hearty. 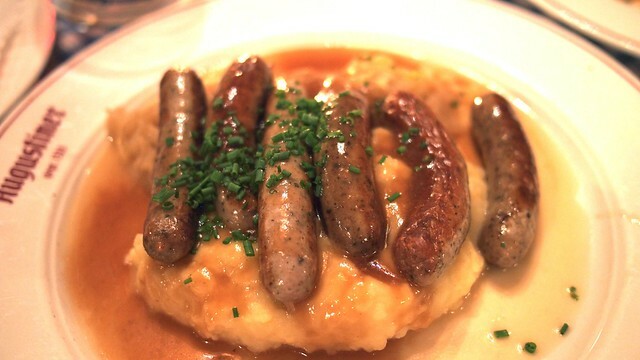 On a slightly lighter note, the Augustiner sausages with mashed potatoes was a nice compliment, stuffed with rich meaty flavour. 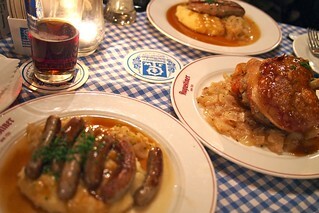 Not satisfied, these six Nuremberg sausages with white cabbage were also hearty and filling to the core. 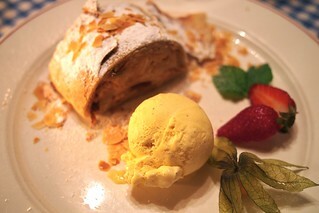 For dessert, we had to go with a German apple strudel, proving to be a delightful treat. It was a ridiculously filling, full meal with all the extra German fillings. Their beers were also quite refreshing, particularly the weissbeer (or wheat beer and hefeweizen) blends. 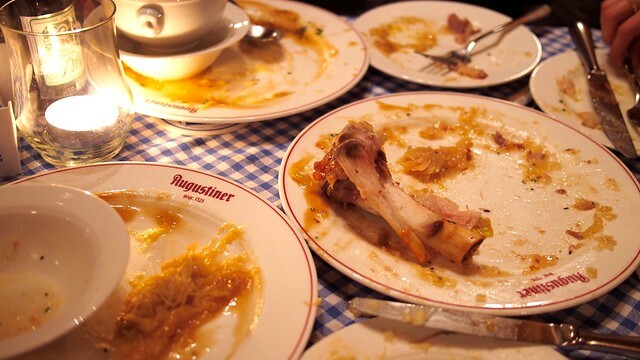 In all, Augustiner provided a great, raucous German dining experience. Did you try a Berliner Weisse?